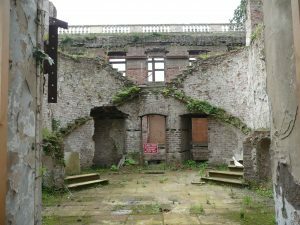 The description of ‘a phoenix rising from the ashes’ is not often seen to become reality in Northern Ireland. Happily though, there could be no better example of this rare situation than Eglantine House, near Hillsborough. On the Heritage at Risk register up to 2011, the house that was once a desolate shell is now a credit to its owners Martin and Elizabeth Reilly and a testament to their imagination and tenacity in bringing back from the brink a building that others regarded as a lost cause. The building is Grade B2 listed, and centrepiece of a complex of important buildings, set in attractive parkland. 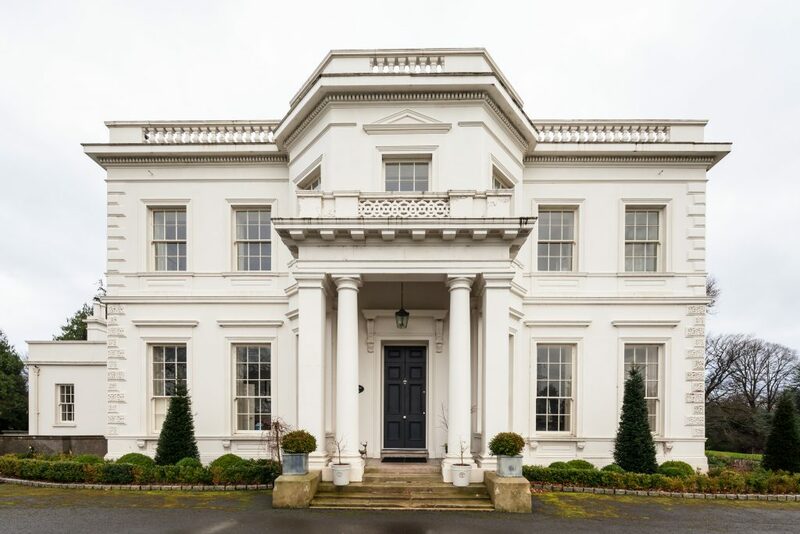 The detached symmetrical, three-bay, two-storey house is set over a concealed basement in the Italianate style and is thought to have originally been built in c.1780, with a later refurbishment in c. 1842 by eminent architect Charles Lanyon. 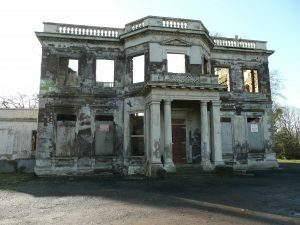 The building lay vacant as a burnt out shell since a catastrophic fire in the 1980s resulted in the loss of all the original interiors and the roof. 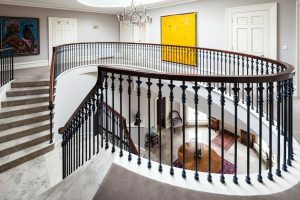 The process behind the restoration was to retain what fabric could be rescued from the severely damaged building and to bring it back to close to what it once was, while suitable for 21st Century family living. Martin explains that at the beginning of the restoration process “the priority was to secure the shell – and this was done by inserting a new steel frame within the existing structure and adding the new floors and roof to tie the entire structure together. Once this was achieved the details of what could be restored and what had to be replicated or replaced came into focus.” Details such as the entrance portico, parapet balustrades and chimneys were repaired. The quoins and exterior mouldings were repaired where possible, casts taken and new mouldings made for missing pieces. The restoration of Eglantine House has been a magnificent feat for the Reilly family, who were justifiably shortlisted in this year’s Heritage Angel Awards for ‘Best Rescue of a Historic Building’ Category which recognises the people and the effort behind these projects. People who take on a building at risk do it as a labour of love that essentially gets them through all of the associated problems……of this Martin says “it is not the type of project that necessarily makes economic or financial sense – particularly if the building is going to be purely a family home and is not to be used as part of a business. You fall in love with the building and its setting – and you want to do the right thing for it. It becomes a passion. 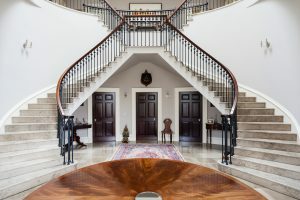 You need to be willing to devote time, and money, and energy, to follow that passion.” It is clear that Martin’s passion and attention to detail has allowed Eglantine House to once again shine as an architectural heritage legacy, while providing his family with a remarkable home for the future. First published in the Royal Society of Ulster Architects, Perspective Magazine, Jan-Feb Edition 2019. Photo Credit: David Bunting, Images NI.